The Echo branding is getting a bit diluted these days, and with the torrent of hardware announcements from Amazon today, we thought it best to break things into at least three categories: Standalone Alexa/Echo hardware, Alexa accessories, and Fire TV stuff. Amazon's first-party accessories brand, AmazonBasics, provides good and cheap options for a wide variety of products from chargers and cables to bed sheets and puppy pads. 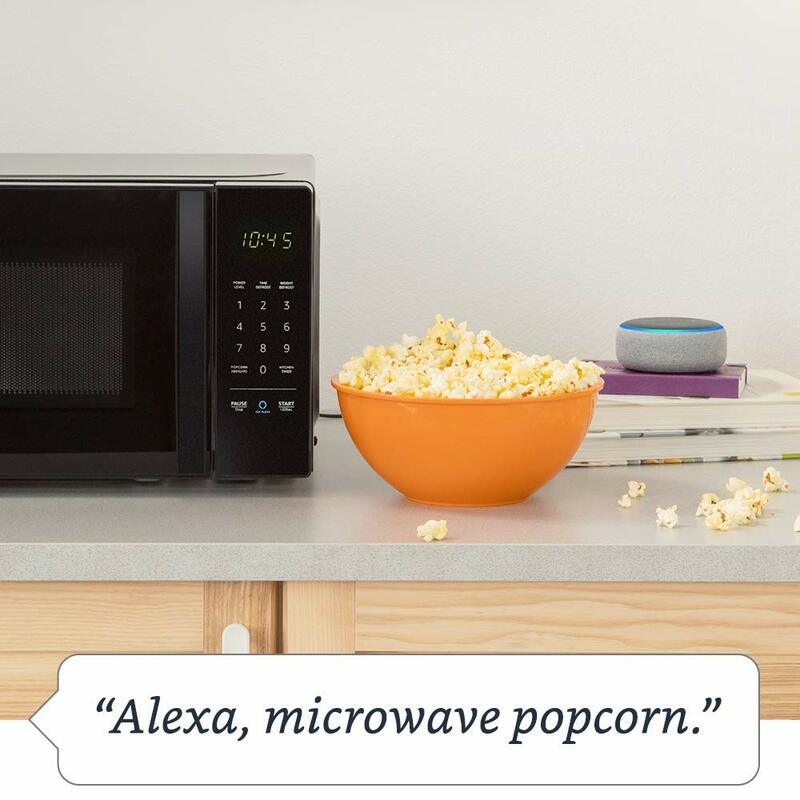 Apparently, that now includes an Alexa-connected microwave. The AmazonBasics Microwave includes a bunch of presets for voice-controlled cooking, and it also has Amazon's Dash functionality for reordering food popcorn. There's even an "Ask Alexa" button that Amazon is making a whole lot of noise about, in case you'd prefer not to use the Alexa hotword in your microwave-related queries. And, of course, it's a microwave, with 10 power levels, a built-in timer, a child lock, and turntable. 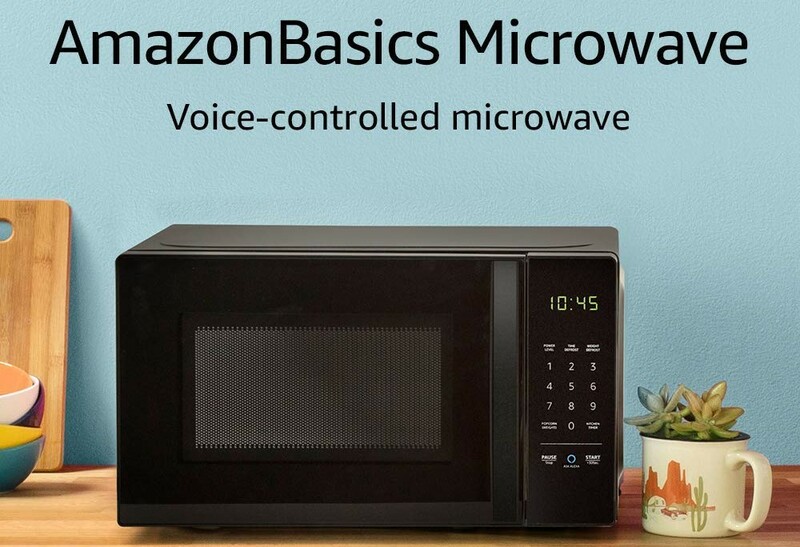 The AmazonBasics Microwave isn't too expensive at $60, with availability set for November 14th, though pre-orders are open now. The expansion in Alexa Multi-Room Music compatibility is accompanied by the new Echo Sub. 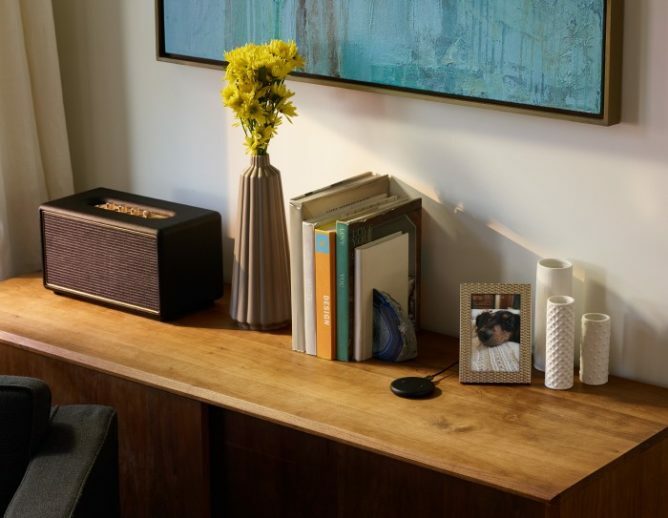 With a network of Alexa-powered speakers, you'll also be able to augment bass with Amazon's surprisingly HomePodesque standalone wireless subwoofer. There's no mention of things like microphones or Alexa support associated with the Echo Sub, so standalone use is probably out of the question. The Echo Sub can be connected to other devices with either a 2.1 or 1.1 pairing, according to Amazon. I'm not sure if that means you can just configure grouped devices as specific channels/mono with it, or if there's a literal 3 device limit for groups including the Echo Sub, but presumably, we'll see once they land. The Echo Sub runs $130, with pre-orders open now over on Amazon, and an October 11th anticipated release. Like the Echo Input, Amazon's new Echo Link is meant to plug into your existing hardware. 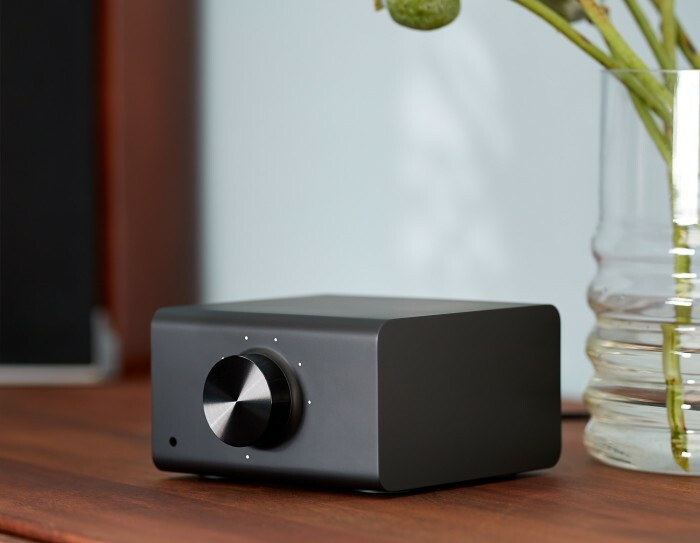 In this case, it sports a handful of inputs and outputs to integrate with your home receiver system. The Echo Link Amp is pretty much the same thing, but — as the name suggests — with its own built-in 60W two-channel amplifier and speaker binding posts for direct connection to speakers. They both share a handful of analog, optical, coax, 3.5mm headphone, and subwoofer outputs, as well as analog, optical, and coax inputs. Again, Amazon hasn't made any mention of microphones or standalone functionality for the Echo Link and Echo Link Amp so you won't be chatting up Alexa via these little black boxes, but they do integrate into that system for audio playback and control. Listings for both the Echo Link and Echo Link Amp are already up on Amazon, with an advertised $200 and $300 price. They'll be shipping "later this year" and "early 2019," respectively. 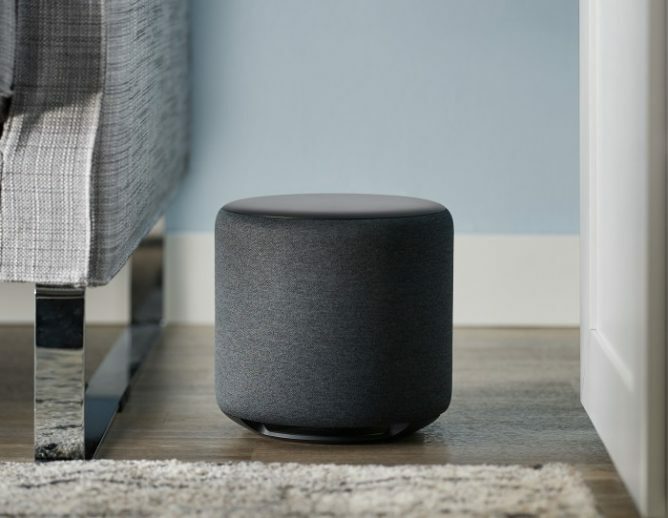 The company is also introducing a new device for separate, standalone speakers, giving them the same Alexa-powered functionality. The $35 Echo Input adds Amazon's voice-controlled assistant to other external speakers via Bluetooth or 3.5mm audio — sort of like a Chromecast audio, but with Amazon's assistant, a four-mic array, and a lot more utility. Availability hasn't been revealed in Amazon's announcement post, though the product listing is already live. Based on the press release, it should go on sale "later this year." 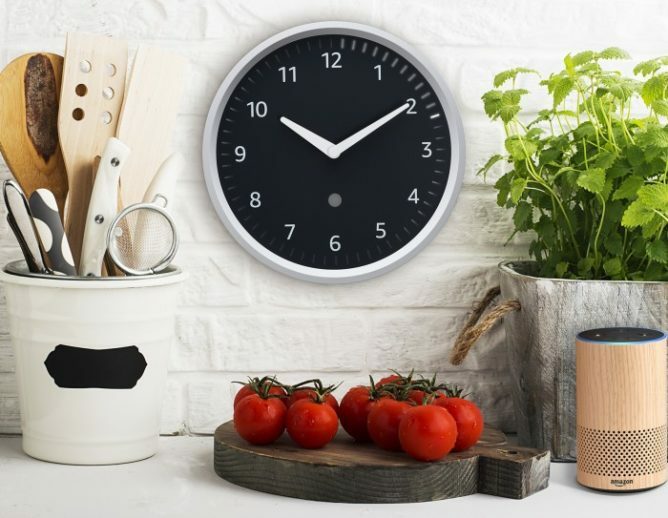 The Echo Wall Clock is a clock. Its distinguishing characteristics are its increased price ($30), and its ability to display the time remaining for timers on paired Echo devices. In fact, so far as I can tell, it doesn't actually have any Alexa functionality built into it, it's just a display for timers and the time. There isn't a product page for the Echo Wall Clock over on Amazon just yet, but there is a page for registering interest in future notifications. According to the press release, it will be available "later this year." The simplest and cheapest of Amazon's new hardware is the new Amazon Smart Plug. It's the first device to feature Amazon's new "Wi-Fi Simple Setup," which automatically connects new devices based on presumably account-associated saved credentials. Amazon is calling it a "Frustration Free Setup" process, part of an overall strategy to make smart home setup easier in the coming years. As someone that had to deal with Belkin's utterly terrible Wemo setup process, I applaud Amazon for this new focus. 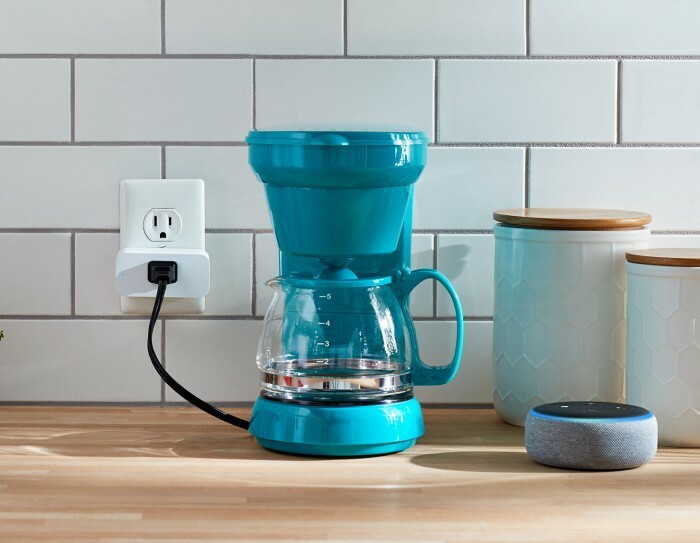 With the Amazon Smart Plug, you can turn your pedestrian, non-smart gadgets into Alexa-controlled hardware, giving your antique lamps voice-controlled convenience and making your morning coffee a lazy affair. They're pretty cheap, at $25. Like most of Amazon's new gadgets, they are available for pre-order now, but they won't ship until October 11th. For more details on these and other products announced by Amazon today, feel free to peruse the embedded press release after the break, or Amazon's literally backward blog post on the subject.